Seeing truth everywhere, processing darkness and somehow staying in the light, to align with a calmer reality? When we wake up spiritually our consciousness expands. We come online as energetic beings. Our timing on planet earth is neither accident or coincidence. If these words resonate, know you are not crazy or alone. We can feel like we are on a different wavelength from everyone else, struggling to understand ignorance and denial. We try to stay compassionate in an unforgiving world. We sense people’s energy fields, experiencing powerful responses positive or negative, having to rationalize instincts in our 3d reality. Dream state can seem more real than real. Time fluctuates, a flow pulls from our heart chakra, our core, our third eye. 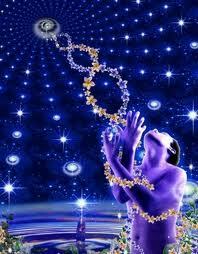 Awakening to a quantum world, cosmic surfers, is sensory, smart and built on love vibrations. 1. Time has stopped being linear, has become quantum, trans-dimensional. Time fluctuations, speeding up creating a sense of lost time, poor short term memory, flash backs. and fluidity as we surrender to the Shift in love vibrations. Slowing down, time seems to synthesize before our eyes. Micro expressions, caught; interpreted, masks slip, truths are revealed. Boom. No going back. 2. Dimensional slippage takes place. Trippiness, the world taking on a surreal filter. 'They Live' glasses are on all the time, awareness that the matrix is on Red Alert, out of step, malfunctioning. Loss of time, sense of moving through an interactive game. Some moments in sharp focus, longer periods blurred at the edges. 4. Awareness of the fourth dimension, dream=state visions, hyper conscious of shadows, seeing through masks, breaking spells, glitching Matrix algorithms. Waking up to the fourth realm and how its future is intertwined with Gaia’s and humanity. Seeing trauma behind the fear. Trusting love to free all on this cosmic rollercoaster of recalibration. 6. Sickness, nausea, headaches, sudden drops in energy, shakiness, dizziness, loss of appetite, irregular sleeping patterns, aversion to crowds, ear popping, and the need to stretch our body can all be experienced. Blurry eyes as we adjust from 3d to 5d vision. Painful karma released from our mind-body-soul. Staying in love vibration is our protection, lightsaber and mission as the darkness rises; on high alert. Mirror the dark in light. Be cautious, careful, cloak our light if we feel sensitive, anxious or edgy. The dark web is being infused with a web of light that we help create. The sacred geometry of portals is activated on an intergalactic scale. We are in the eye of the storm, keep calm and let the frequency war rage on around us. Anchor light to Gaia’s grid. The reality we perceive is subjective, we can fact check, source verify and research, but in the end its our gut we must trust. If your gut says go to ground over the coming days, do it. Take some leave, have a duvet day. Rest. Step off the hamster wheel if that is what your spider senses tell you. If you are being guided to bright and sparkly, happy high energy, share your light vibration, roll it out in zen frequencies. If you are somewhere in between, let go of ego led analysis and trust your inner rhythm. We all have a role to play in Gaia’s ascension. 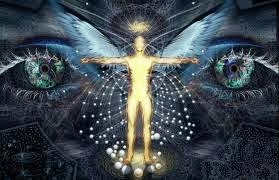 Reach out in cyber land to others experiencing this shift in consciousness, to those waking up and those further down rabbit holes of truth. There are communities reaching out energetically as light warriors linking light to Gaia’s grid. 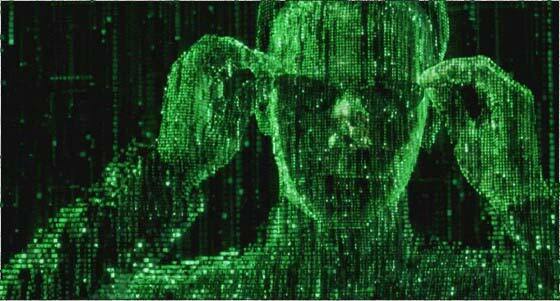 Just as there are links of light firing through the cyber web, glitching negative and magnifying positive algorithms. When fear pushes in, push back with love, when truth triggers trauma, regain balance with perspective. Zoom out, look at situations from fresh angles, outside the cosmos. See that you are a sovereign being with free will. Use mantras as the dial to set our energy field, to tune our vibration up and to manifest our days in calm light. Water cleanses our energy field as well as our body, it refreshes our mind. Essential oils, peaceful music, creative activities all calm our minds and raise our frequencies. To heal is to know darkness and retain belief in higher planes of existence. Depression and anxiety can make us ill, mind-body-soul infected with low frequencies. If shadows come meet them with love. Know all that is in darkness is traumatized. Visualize a sacred circle of light, power this circle of light up with love vibrations, protecting us from anything that may mean or cause us harm. This can be done any time, anywhere, any place. Breathe. Be calm, even if things get really trippy. Trust your instincts, use sage, crystals and water for clearing and protection. Follow your gut. If you feel, sense nothing, yet these words resonate, enjoy this for you are creating the material plane New Earth, the world that we will inhabit in love vibrations. Nature is Gaia’s medicine, realign to her rhythm. Self care and meditation are essential tools in the coming weeks. New earth tribes anchor your light to Gaia’s grid. Hold our space in light, as the Shift kicks in. Meet darkness in love vibration. 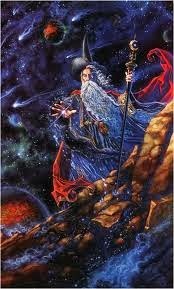 Ride waves of cosmic enlightenment with grace, humility and gratitude. In light and love beautiful people.